A total of 543 candidates were invited for Canadian immigration in latest Express Entry draw. Candidates Federal Skilled Trades Class (FSTC) with a Comprehensive Ranking System (CRS) score of at least 400 were issued AN ITA. In the latest Express Entry draw held on 26th May 2017, a total of 543 candidates were invited to apply for Canadian permanent residence. A first of its kind in the entire history of Express Entry system, two groups of candidates were singled out to receive Invitations to Apply (ITAs). Further to that, Immigration, Refugees and Citizenship Canada (IRCC) established two different minimum scores under the Comprehensive Ranking System (CRS). A total of 400 candidates in the Federal Skilled Trades Class (FSTC) with a minimum score of 199, and 143 candidates with a provincial nomination and a minimum CRS score of 5 were issued ITAs, and are now in a position to submit an application for Canadian permanent residence. Category-specific draws are not unknown within the Express Entry system. Since the introduction of Express Entry, in January, 2015, the Canadian government has conducted two draws that exclusively invited specific candidates – those in the Canadian Experience Class (CEC) on February 20, 2015, and those with provincial nomination certificate on November, 30 2016. However, this is the first time that candidates in the first time that candidates in the FSTC have been specifically singled out, and the first time that two separate minimum CRS score requirements were in place. In order to be in a position to receive an ITA in an Express Entry draw, individuals are first required to meet the eligibility criteria of one of the three immigration programs managed by through the Express Entry system – the Federal Skilled Worker Class (FSCW), The Federal Skilled Trades Class (FSTC), or the Canadian Experience Class (CEC). Upon entering the pool, candidates are assigned a CRS score based on factors including civil status information, education, work experience, language ability, and other criteria. This score determines their ranking in the pool. During periodic draws, IRCC issues ITAs to the highest ranking candidates. 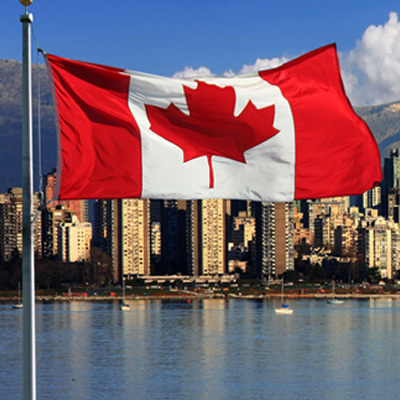 Those candidates who receive an ITA may submit an application for Canadian permanent resident status. Click here, to learn more about the Express Entry system.